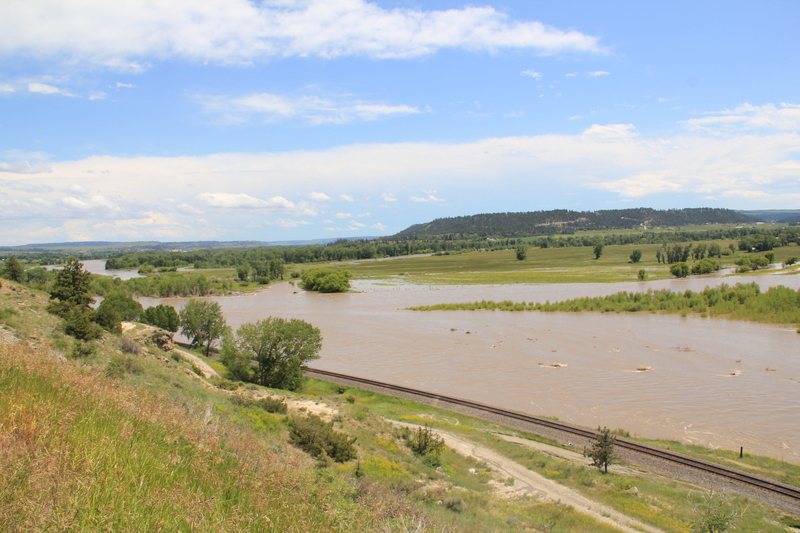 The Yellowstone River, along with the parallel tracks of the Northern Pacific Railroad, divides Stillwater County, with the south side of the county more mountainous but with the rich Stillwater River Valley coming out of the mountains to meet the Yellowstone at Columbus, the county seat. Let’s talk about two towns along the river valley that were once down but now more vibrant than 30 years ago due to the population growth in the southern end of the county. 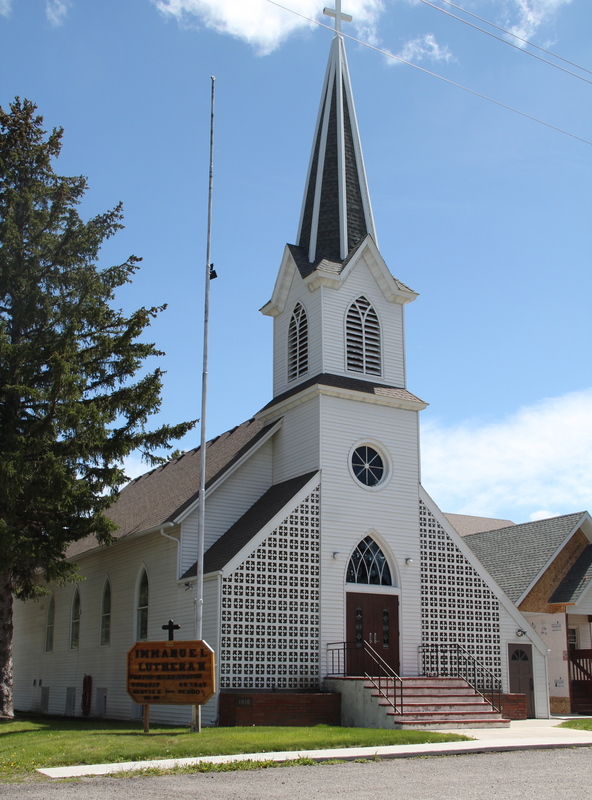 Absorkee began in the mid-1890s after another taking of lands from the Crow Reservation. The Oliver Hovda house, a Classical Revival-styled residence on the main artery of Woodard Street, dates to c. 1900 and was built by local carpenter Jacob Wagner. Listed in the National Register, the big yellow house, as it is known locally, remains the town’s primary domestic architecture landmark. Just steps away are an array of masonry commercial buildings, not finished to the degree that you find north in Columbus but still substantial buildings from c. 1910-1920 that reflect the determination of town boosters to show permanence and seriousness in this small country town. 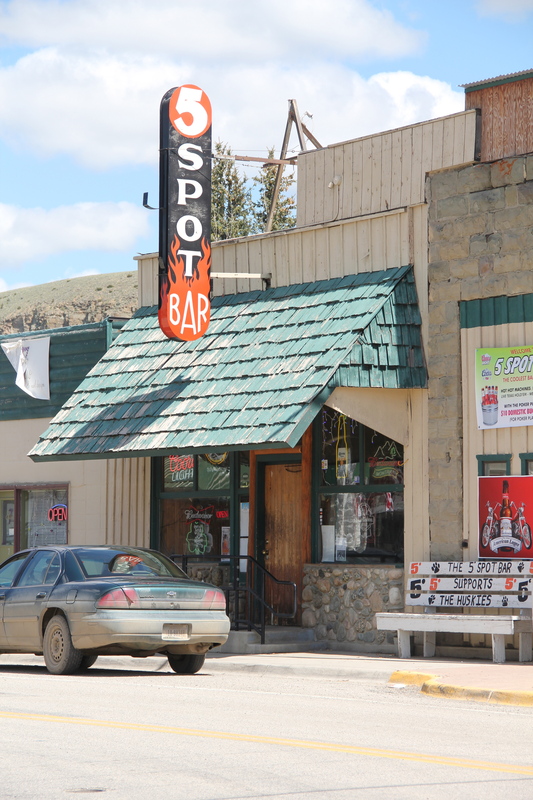 The 5 Spot is the town’s iconic bar, just as welcoming in 2014 as it had been in 1984. The town’s school is its pride and joy (I apologize for the distance images with fences but school was in session when I visited in May). 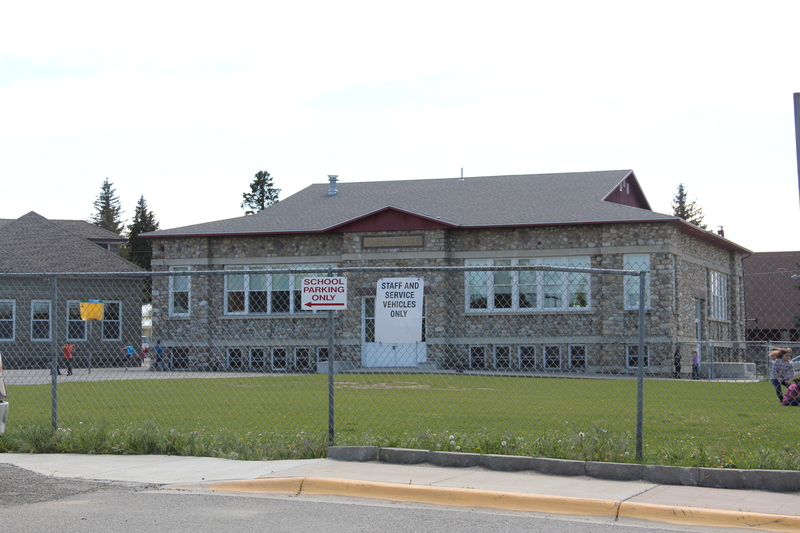 Among the historic school buildings is a 1903 two-room section, see below, and then what is known as the Cobblestone School, a more modern building constructed in 1921 with river cobblestones as the primary exterior wall treatment. W. R. Plew, an engineer at Montana State University, promoted good rural school designed and is credited with this striking building. Historic churches also define Absorkee’s built environment, no more so than the historic Emmanuel Lutheran Church, with its soaring Gothic steeple but also its modern c. 1970 concrete block screen, an unusual but effective combination of styles and materials. 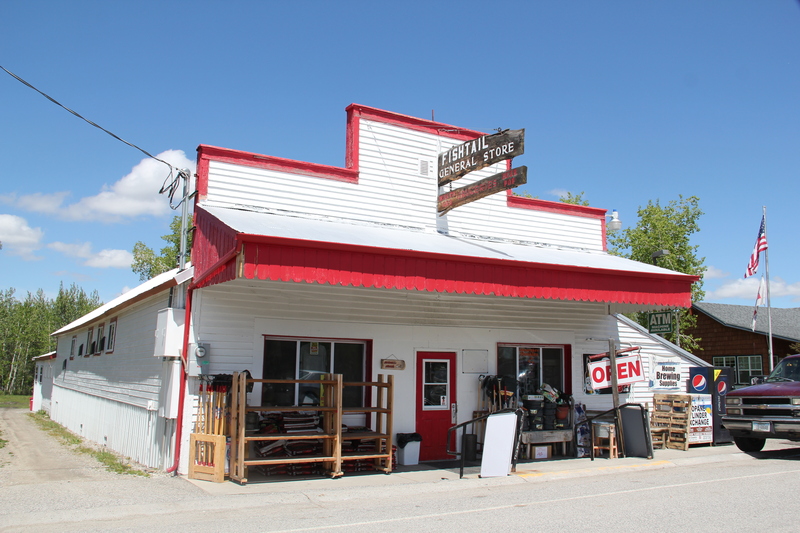 Further south along the Stillwater River is Fishtail, a place that in 1984 I noticed more for its sleepy general store (c. 1900) but now a town that is much more alive with residents and visitors. The re-energized store, who got new owners in 2000, is a large part of that as is the general boom in recreational opportunities and offerings in the Fishtail to Nye section of the Stillwater River Valley. 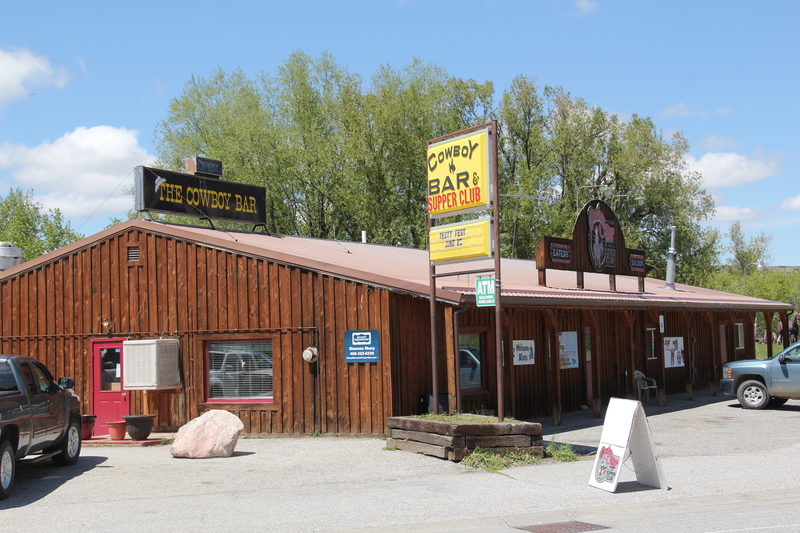 The rustic-styled front to the Community Hall speaks to the permanent residents while the sprawling Cowboy Bar attracts visitors and locals. 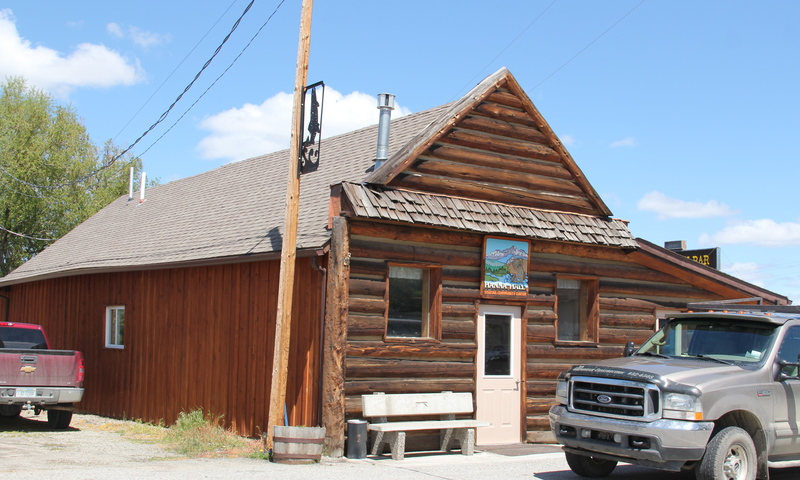 The south side of Stillwater County may be cut off from the mainstream of Montana life since the railroad and interstate are north of the Yellowstone River, but in the last 30 years its sense of itself has grown and is embodied by the care shown many of its community landmarks. 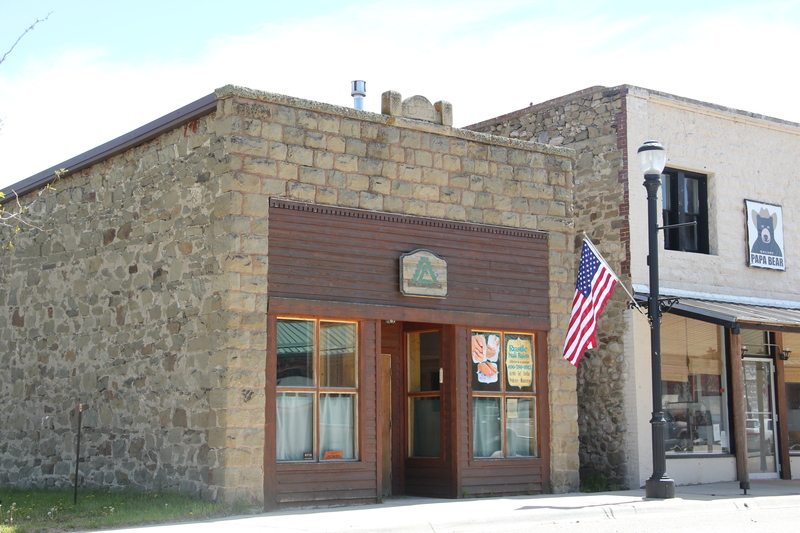 When I next returned to Miles City in March 1984, I found a town much interested in the promise of historic preservation. 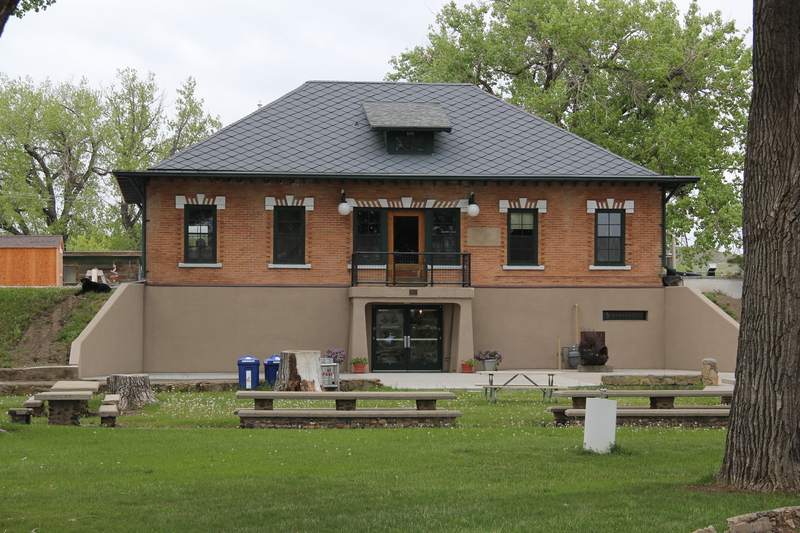 At that time, the town and Custer County as a whole only had three properties listed in the National Register of Historic Places: Fort Keogh, a steam laundry building (since demolished), and the city waterworks along the Yellowstone river. 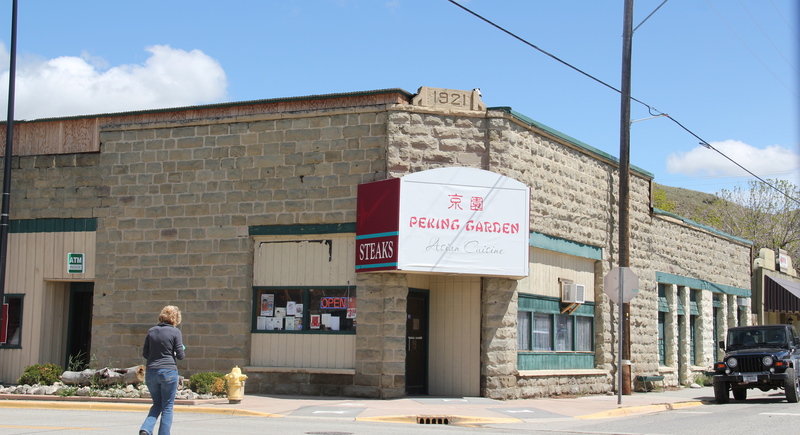 This local landmark, which had been converted into the Custer County Arts and Heritage Center, came out of Miles City’s golden decade of the 1910s when the town boomed following the arrival of the Milwaukee Road, the railroad’s decision to turn the town into a division point, and the potential of new business brought about by the arrival of thousands of homesteaders either on the Milwaukee line or the earlier Northern Pacific Railroad, which had done so much to establish and develop the town from 1882 forward. The Pumping Station park at the waterworks dates to 1939, another public project of the New Deal which did so much to transform the town and county. 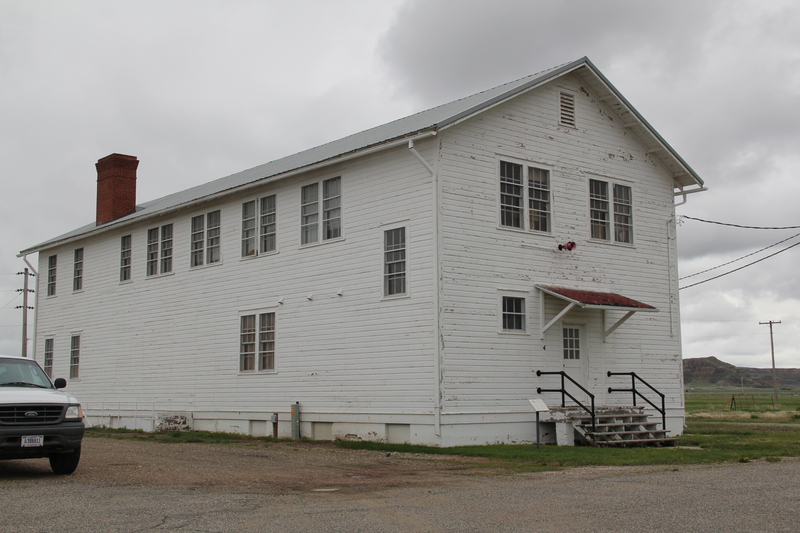 The public meeting for the preservation plan took place at the waterworks, organized by the director of the Custer County Arts and Heritage Center (now known as Waterworks Art Museum). 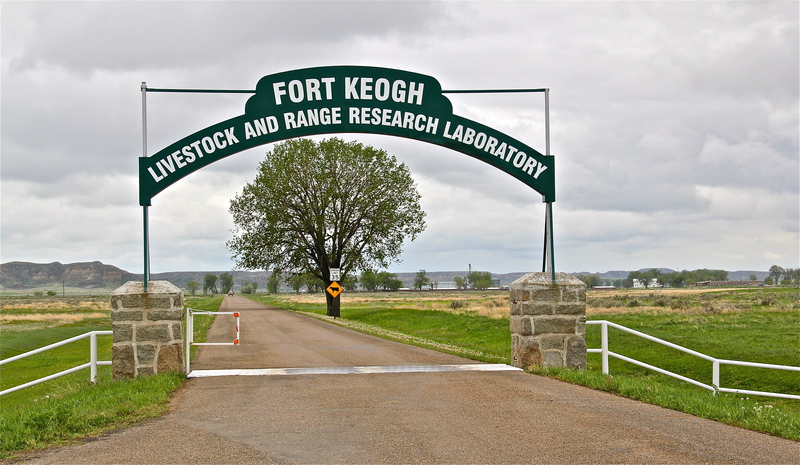 It was a lively and interested crowd, like me concerned about the fate of Fort Keogh and its rapidly disappearing historic buildings and what still remained in town of its railroad era of 1882 to 1932. 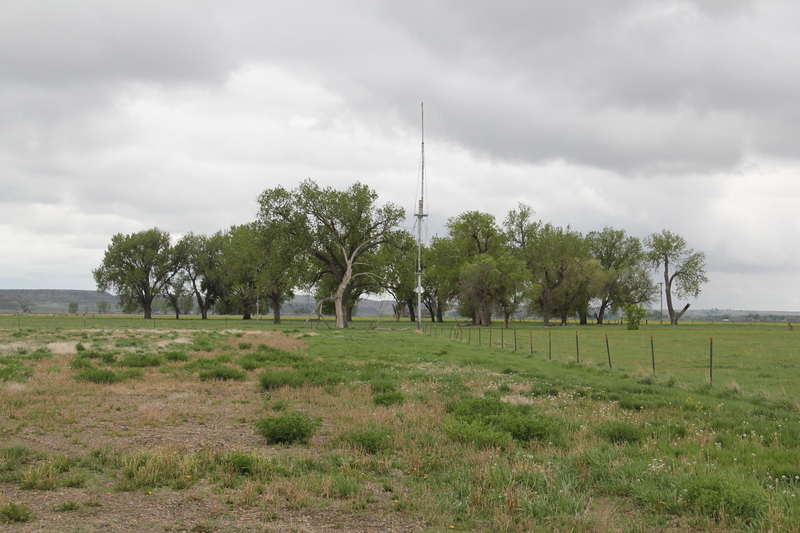 The fort property had been accidentally preserved for decades, ever since its conversion into an agricultural experiment station in the 1920s. But preserving what had been left was not a priority of the agricultural reformers (who, to be fair, were never awash in funding). 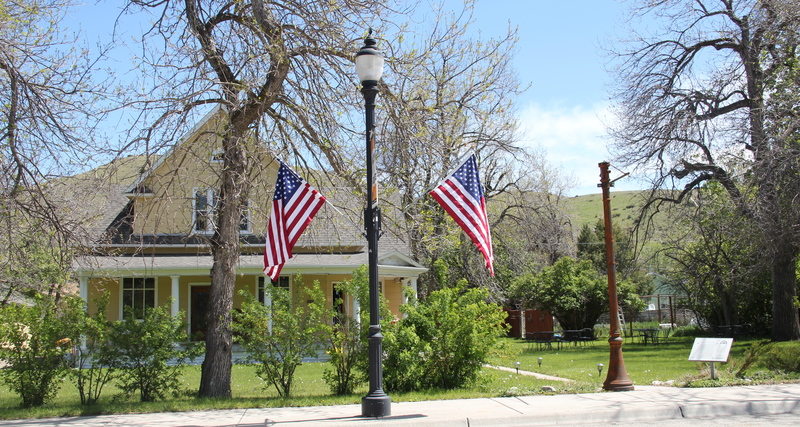 The tall metal flag pole marks the old parade grounds at Fort Keogh. In 1984, one officer quarters still remained on the property, in poor repair. It has been moved a few miles down the highway and restored at the Range Riders Museum. 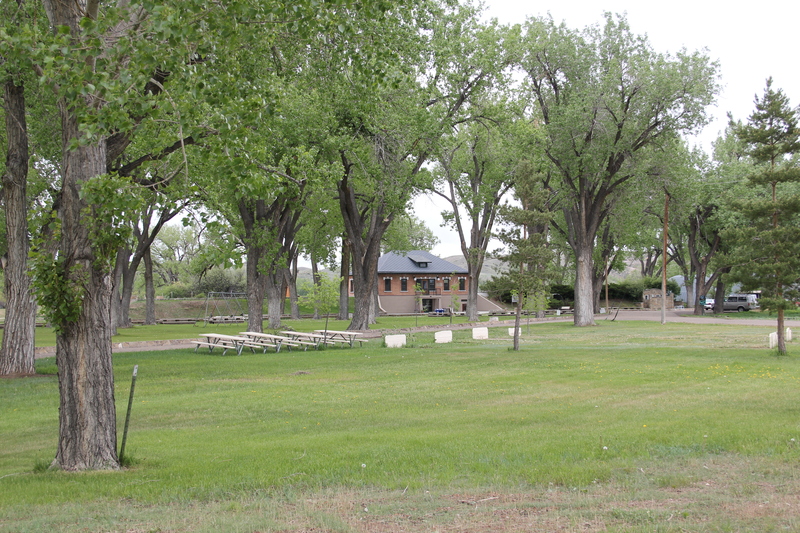 One historic c. 1920 mess hall, from the fort’s remount era, also remains, and is the post’s most noticeable landmark. But one brick water wagon shed from 1883 still exists (it was converted into a truck garage in the 1930s) as well as another New Deal building, a massive horse barn from 1934. 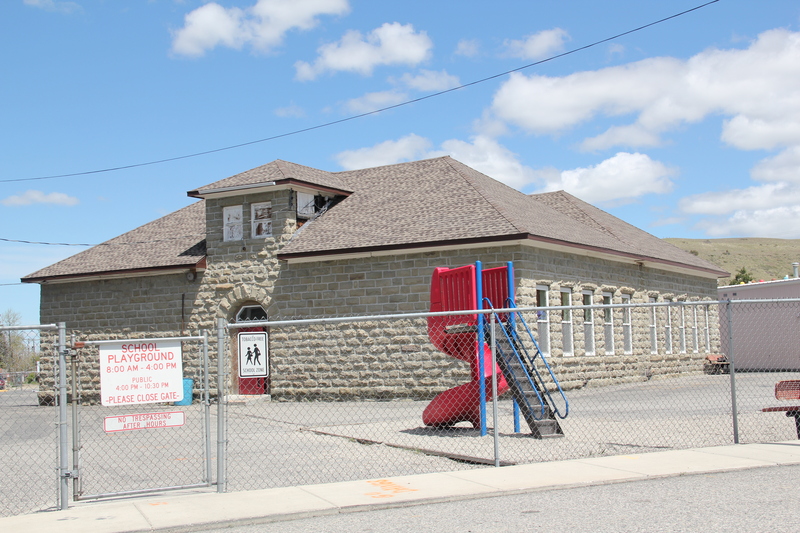 The group that night at the waterworks emphasized that they knew more needed to be done, and over the next generation, town residents have done impressive work, especially considering that the town’s population has been in decline, from about 9600 in 1980 to 8400 in 2010. The arts center no doubt showed significant leadership: how a historic building could be converted into new community uses. But one ringleader also introduced himself to me that evening–Dave Rivenes. 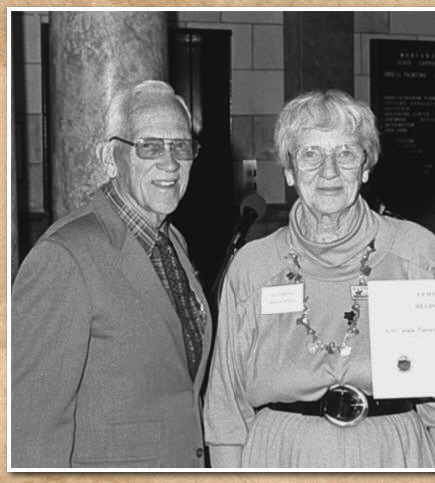 Dave and Ella Rivenes were community institutions as owners/operators of the local television station, representing the smallest television market in the entire United States. As soon as the meeting was over, Dave convinced me to come to his house, and go on the air, discussing for the local audience what had happened that night. He and Ella then put me on the morning show. Not having any experience before with live television, I hope that I sounded somewhat with it–it was a surreal experience. But the pride in the town and the appreciation for the past that I gained from Dave and Ella Rivenes left a lasting mark. I came to understand that when residents embrace their past, and you help them in that quest, good things for history and preservation can happen. That is apparent in what Miles City has accomplished in historic preservation over the last 30 years–the subject of my next several posts. 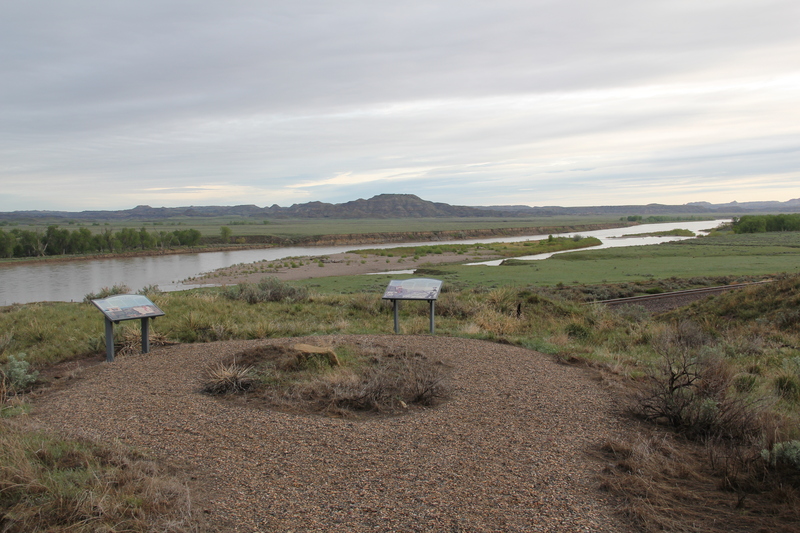 The confluence of the Yellowstone and Powder rivers in Prairie County, Montana, is among the most important places of the American West. 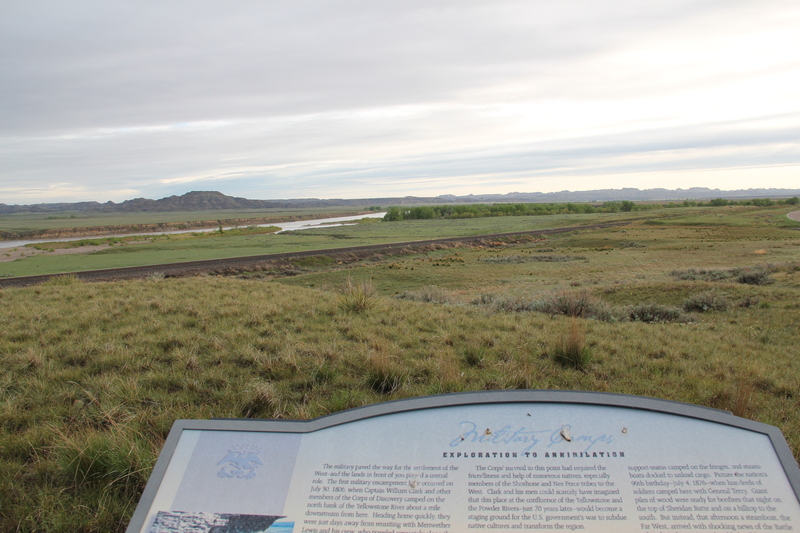 Thirty years ago, in my work for the Montana state historic preservation plan, I went to that spot, easily viewed from old U.S. Highway 10, and found only a couple of lonely graves–marked by the county historical society–of buffalo hunters who had ranged this land in the late 1870s. That night, at my public meeting at the Prairie County Museum in Terry, I brought up that place to the folks gathered there, chiding gently, I thought, that there should be some highway markers to direct visitors to that spot, that it was very important and quite a compelling view of the landscape itself. What happened next was a laconic comment that I have told on myself ever since: one community member just replied: “Son, we know where they are.” Of course–I have never forgotten that lesson–locals do know where their history took place; markers are necessary, not for them, but for us, the outsiders, the visitors. Fast forward 30 years, and the confluence is no longer neglected–now it is one of the best interpreted landscapes in eastern Montana. 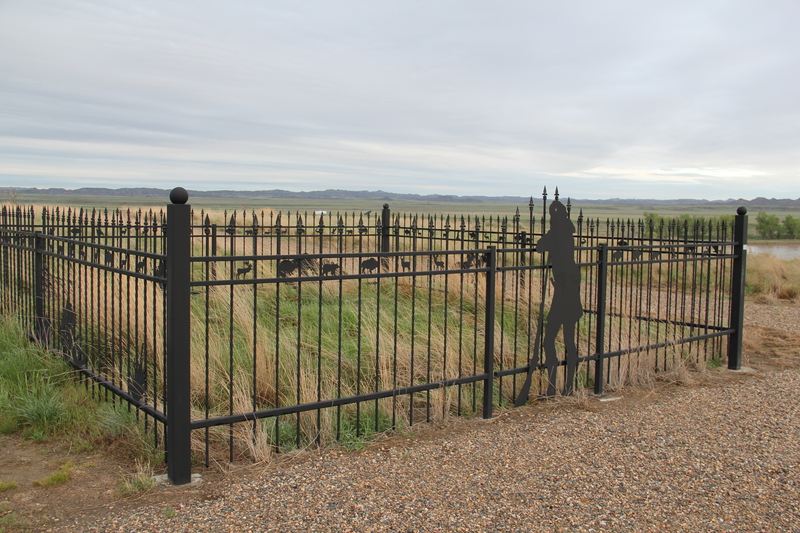 The Prairie County Grazing District worked with the Montana Department of Transportation and other partners to create a graveled pull-off from the old highway, and then installed not only an appropriate fence around the graves, but also several interpretive signs that tell the multi-layered history of the site. The story here is big, and the markers do a solid job of capturing it, from the early Native American history to the coming of Captain William Clark during the Lewis and Clark expedition, the later fur trading era of the mid-19th century, and then the marks you can still see on the landscape made first by the Northern Pacific Railroad in the early 1880s and from the federal highway era of the early 20th century. 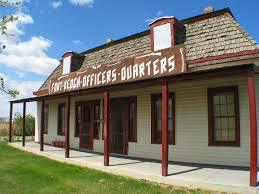 It gives particular focus to the Sioux War of the 1870s and how this spot served as a base–known as the Powder River Depot–for 1876-1877 military actions by Terry, Crook, Custer, and others. 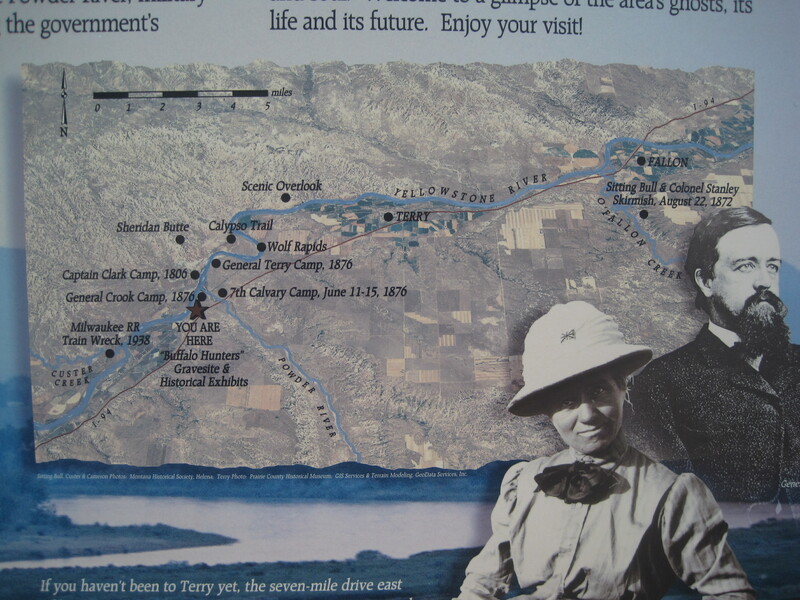 A good way to access the river is by the Powder River Depot Fishing Access site. 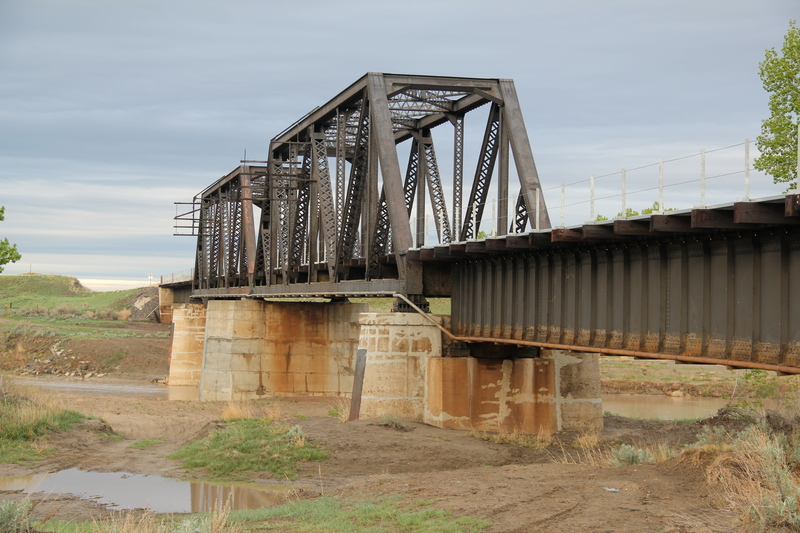 Nearby, back on the highway, is a key transportation landmark, the Northern Pacific Railroad bridge over the Powder River–it was the railroad that introduced a new era of settlement and development into this region. And I will return to the theme of the railroad and its significance as we continue westward to Miles City.